Meg Grigal is a Senior Research Fellow and Co-Director of Think College at the Institute for Community Inclusion at University of Massachusetts, Boston, USA. 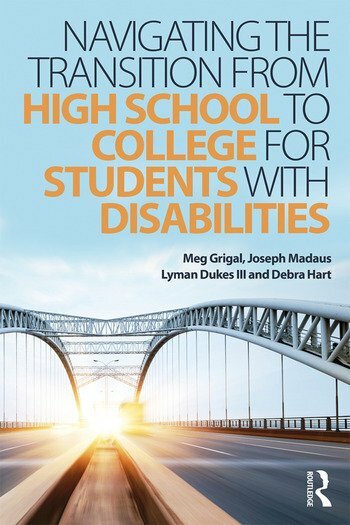 Joseph Madaus is Director of the Center on Postsecondary Education and Disability and Professor in the Department of Educational Psychology at University of Connecticut, USA. Lyman L. Dukes III is Associate Dean of the College of Education at University of South Florida St. Petersburg, USA. Debra Hart is Director of Education and Transition at the Institute for Community Inclusion at University of Massachusetts, Boston, USA.